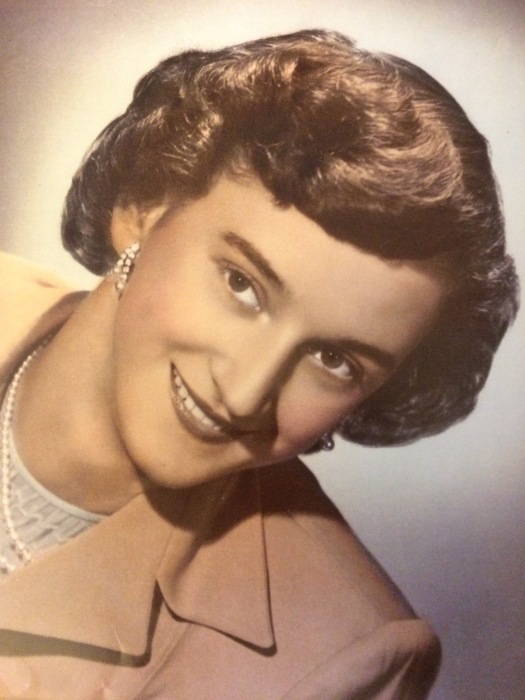 Barbara Ellen Gross passed away peacefully in Cape Coral, FL on October 19, 2018 at the age of 89. Barbara was born on November 10, 1928 in Indiana, Pennsylvania to Bartholomew and Pauline Zoldak. She was raised on the family farm in Homer, PA in a two-story home still inhabited by Zoldaks today. At 13, Barbara moved to New York City and developed a love for the theater and dancing. A few years later she began an after school job as a switchboard operator for AT&T, a role she continued until she was 25, often slipping away during lunch breaks to catch part of a Broadway Show. In 1953 Barbara met Robert Gross, a Korean War era Army veteran, and they married the following year. The couple settled on Long Island, NY and was blessed with four children: Robert, Karen, Michael, and Gail. A devoted wife and mother, Barbara provided a happy home for her young family in the midst of a strong Catholic faith, solid education, and many summer voyages to Fire Island in Long Island Sound aboard their cabin cruiser, Minerva. Since a trip to Florida with a group of friends before her marriage, Barbara had always held a desire to move to the Sunshine State. That dream was realized in 1972 when the Gross family pulled up stakes in Stewart Manor, NY and found a new home on the water in Cape Coral. They established themselves as members of St. Andrew Catholic Church in Cape Coral and firmly embraced life in Southwest Florida through school, work, and recreational activities. Barbara worked in sales at Maas Brothers department store in Fort Myers. Barbara's husband, Robert, passed away in 1996 after forty-two years of marriage. She never remarried and continued to wear the wedding ring he gave her until her death. Her devotion to God and family never wavered, and she expanded her care for others by volunteering in organizations such as St. Andrew CCW and the Lighthouse of SWFL. She is survived by her four children, eleven grandchildren, and three great-grandchildren. A funeral Mass will be celebrated 11 AM Thursday, October 25th at St. Andrew Catholic Church on Del Prado Boulevard in Cape Coral. The family will receive friends Wednesday, October 24th from 5 to 7 PM at the Fuller Metz funeral home, 3740 Del Prado Boulevard S., Cape Coral, FL 33904. Memorial contributions may be made to Lighthouse of SWFL, Inc.@ https://lighthouseswfl.networkforgood.com/projects/57713-lighthouse-of-swfl-donate-ongoing-everyday-giving-campaign. Please visit www.fullermetz.com<http://www.fullermetz.com> to share a condolence.